The Curry for Currie Candidate Debate--a treat for all, regardless of tastes. 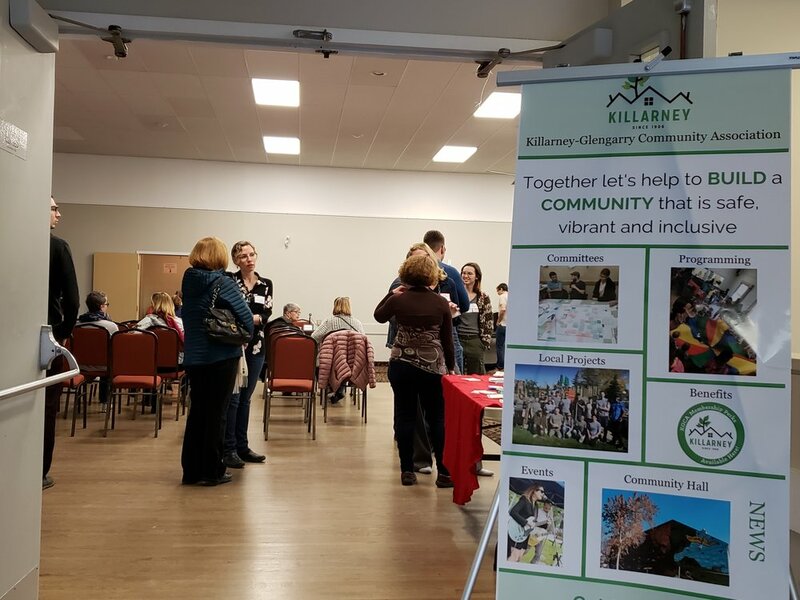 If you’d been walking by the Killarney-Glengarry Community Hall on Friday evening, your curiosity surely would have been piqued by the delicious smell of curry wafting out of the doors. If you were lucky enough to be inside, however, both your political curiosities and your taste buds would have gotten a treat. The Curry for Currie Candidate Debate was held on Friday, April 12th at the hall and was well-attended by just over 80 people. A brainchild of Melissa Centofanti, food-themed political debates of all levels are a staple in the community, mixing discussion with creativity for more interesting outcomes. Candidates are invited to bring their ideas and their food for attendees to judge. Three candidates attended the Curry for Currie Debate: Brian Malkinson (NDP), Lindsay Luhnau (Alberta Party), and Joshua Codd (Alberta Liberal Party). Nicholas Milliken from the United Conservative Party sent his regrets (but also his curry).The debate was moderated by Rob Smith in his always-engaging way, keeping the candidates to task and entertaining the audience. The collected questions ranged from the interpretive (“Who likes you most: dogs, children, or seniors?) to the direct (“Why are you the best one for the job?). While attendees balanced four little lettered cups of curry on their laps, along with naan bread and rice, they blind taste-tested the fare and listened to the candidates speak about education, pipelines, the opioid crisis, crime, daycare, and the carbon tax. At the end of the night, Lindsay Luhnau reigned supreme as she took the prize for best curry. The KGCA would like to thank the candidates who attended, and all the volunteers who worked so hard to put on the event. Make sure your voice heard--vote on April 16th!